The three day Internationally Accredited and Certified Crystal Healing and Metaphysics course is a hands-on informative and transformational experience that will take you to a deeper level of understanding of yourself and others; thus enabling you to become more empowered and in control of the things that show up in your life. The Crystal Healing and Metaphysics course will suit anyone wanting to develop themselves in all aspects of life; applying learnt techniques and using crystals as a tool to effect the necessary changes for a happy and fulfilling life. The Crystal Healing and Metaphysics course will also suit anyone wanting to become a practitioner or simply wanting to give healing to family and friends. If you are already a practitioner, it will also provide you with further knowledge and techniques to use in your practice. After completing this course you are recognised as a Crystal Healing practitioner and are able to practise in a professional capacity and charge money for your services accordingly. 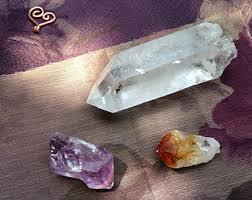 What are the prerequisites for the Crystal Healing & Metaphysics Course? There are no prerequisites for the Crystal Healing & Metaphysics course. Whether you are starting on your journey of awakening, have years of experience of metaphysical subjects, or are presently a health-care practitioner, our courses and workshops are aimed to take you to a higher level of understanding of yourself and others. WHAT IS THE COST OF THE CRYSTAL HEALING & METAPHYSICS COURSE AND WHAT IS INCLUDED? The full cost is $795.00 or $695.00 for the early bird (if the balance is paid 30 days prior to the course commencement date). 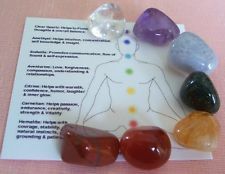 A Crystal Healing Practitioner Certificate, or Crystal Healing & Metaphysics, will be given to participants on completion of this accredited course (recognised by the International Institute of Complementary Therapies) together with extensive manual, handouts and research material from the course, along with on-going support. Where is the Crystal Healing & Metaphysics Course Location? The Crystal Healing & Metaphysics Course is held in Nerang, Gold Coast (QLD), Applecross, Perth (WA) and in Albany, Auckland, New Zealand. The Crystal Healing & Metaphysics course is held over THREE DAYS from 9.00 am to 5.30 pm on Friday and Saturday and 5.45 pm on Sunday to allow time for group photo and certificate presentation. When is the next Crystal Healing and Metaphysics Course? How do I book for the next Crystal Healing and Metaphysics Course? To secure a place on this course we require a deposit of $200.00 to be paid at time of booking, or payment in full if applicable. Balances are to be paid 14 days prior to the course start date for the full price and 30 days prior for the early bird price.